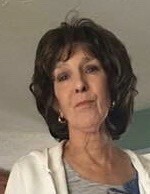 Debra Gail “Debbie” Cooper, 67, born in Greensboro, N.C. November 30, 1951, passed away Saturday, January 26, 2019 at her home in Frederick, Md. with her family. She is survived by husband Randall Wayne Cooper, son Gary Davidson Cooper, daughter Heather Collette Cooper and her sister Carolyn Austin. For the past 30 years she was employed as an Administrative Secretary for the Frederick County Public School System. The majority of her career was at Parkway Elementary (Pandas). She also worked at Waverly Elementary and Yellow Springs Elementary Schools earlier in her career. Pastor Dave Durant of Mount Airy Presbyterian Church will preside over Debra’s celebration of life.